Kearney is ranked #1 fastest growing city in Kansas City metro area, according to the Kansas City Business Journal. 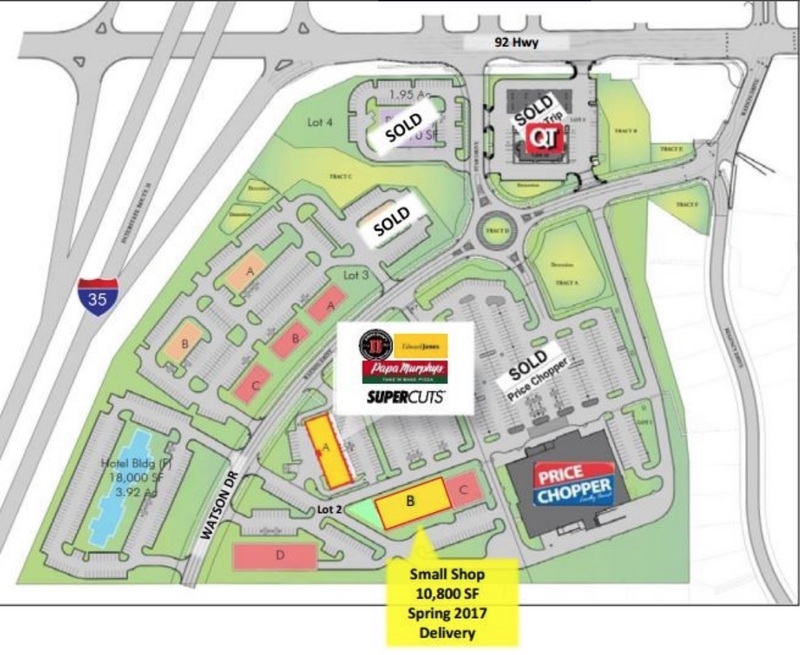 Prime real estate along I-35 with 1,200 SF small shop spaces available for lease. Drive-thru and junior box space available.